Please, lay off the wanton consumption of candy. Easter is murder on my Peeps. If you don't eat Easter candy as an adult (and you really shouldn't be), please vote for your favorite Easter candy when you were growing up. I'm sorry I couldn't add more to the list, but I'm limited to seven poll answers. Also, if you have a specific candy that you used to get for Easter and they no longer make it, share it with the rest of us in the comments. I'm always curious to see what other people reminisce about. I know there's also a lot of "traditional" candies that are regional, too! Enjoy the day, whether you celebrate the religious holiday or the beginning of spring! 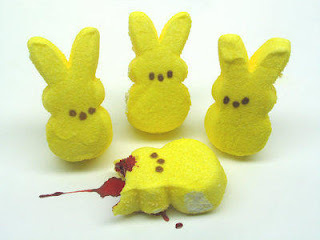 Well, Crunchy, I try to keep the wanton consumption down, but around our house, peeps season means roated peeps season. That's right, it's like roasting marshmallows, but if you brown them just right you get a nicely carmalized candy coating with a nice soft toasty peep inside. MMM MMM good. Our Easter treats are different in Australia. My mother always bought sugar paste eggs. I used to just about cry wanting a chocolate egg like the others. I give my children a chocolate bunny or bilby (an endangered animal and the sales from the bilby goes to efforts to preserve it), My neighbour makes the sugar eggs herself and my darlings just hang out for their homemade egg. She has shared the recipe and told me I am not to share it as she makes a lot of money from her eggs! I am so glad to get those eggs because I know just what went into them and it is very little. Hers taste so much better too. MMMMMMMmmm Peeps(done in my best Homer Simpson voice). I remember liking it ALL, except for the white gumdrops and white and pink jelly beans. We always got the really cheap jelly beans called'birds eggs'. We also got little egg shaped chocolate malted milk balls with a lovely blue shell swirled with colors. Beautiful and delicious. The sugar coating was a bit too much like real egg shell though- But there's nothing like biting the head off of a tiny yellow chicken made of marshmallow! Alas, they are made out of pigs, so I don't eat them any more. I do so miss their squishy goodness. best. candy. ever. I consume these by the metric ton during Easter-candy season. I remember some pretty gross stuff I used to get in my basket as a child, too. That would have been a fun poll! Remember those gross, basically solid sugar eggs in pink, mauve, yellow and robin's egg blue? My teeth hurt just thinkin about them. Anyway, happy Peepster to you, too! (my favorite has always been the good old foiled wrapped eggs ;) and we made our own marshmallows this year, which were some insanely fluffy and sweet fun! I'm all about the Russel Stover coconut nests. I flick the jellybeans out of the nest and (sometimes) eat them after I've gobbled up the nest. I look every year to see if my favorite thing has reappeared- and it hasn't. Does anybody else remember those HUGE (like 2 or 3 pounds!) SOLID nougat etc. eggs? Typically with a decorated chocolate shell. My family always got ONE; and my father carved it, like the Thanksgiving turkey; (actually more like the Roast Beest from the Grinch) - one slab per person, super-dessert after the ham. Solid sugar and fat- of some unidentified kind. Haven't seen one in years, but different companies used to compete for the market; fancying them up with nuts inside, or citron/preserved fruit bits, or little dioramas built into the side and hard sugar creatures and flowers all over the outside. We always got candy called "robin eggs" which were actually malted milk encased in a hard coating (possibly chocolate) and colored pink, white, yellow and blue with little flecks. Loved those! The solid chocolate easter bunnies were the best, but I remember robins eggs too, we'd use them as different color lipstick! I also very much enjoyed the Cadbury Creme Eggs. I can't stomach them now and can't eat them anyway due to the soy allergy. I can't say that I miss them anymore. One item I do miss is a good malted milk ball. Sadly I have yet to find one that is soy-free. And, I don't really have the energy/time/patience to figure out how to make them and it should probably stay that way since making candy is a really low priority. Its only been a couple of years since I have seen them but there used to be hollow chocolate eggs filled with mini-m&ms. That was some of the best grocery store chocolate I have ever had. I remember the nougat egg, Greenpa! My family used to do the very same thing. The Cadbury egg is my favorite, though. I could eat six at a time. (While everyone else was grossed out, of course!) I like the Cadbury mini-eggs, too. You can eat them in smaller portions. I made homemade peeps one year. They were yummy but not as cute! Happy Easter and Happy Spring!!!!! I was so disappointed when they licensed them to Hershey's here in the states. I started stocking up on "real" ones whenever I visited Candaian relatives, but now, of course, my mini-egg (and non-fair-trade chocolate) consumption has plummeted. I am not upset by the comments. I have had some pretty awdul chocolate or otherwise eggs in my time. I forgot to add I love hot cross buns. I don't know if you have them in the US but I hang out for them. They are a spiced fruit bread with a white cross on them. We split them and toast them. 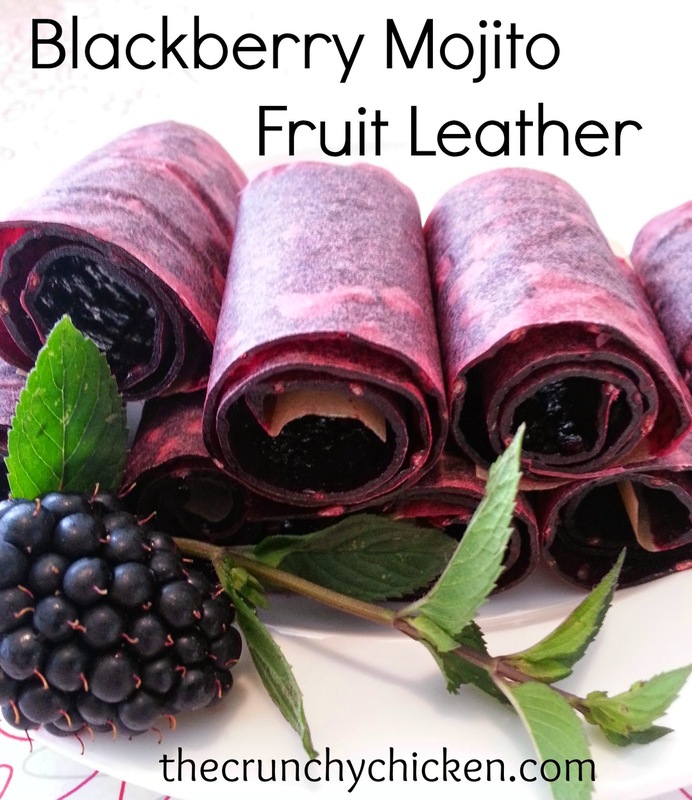 Best and easy breakfast over a busy time. I think I will take up the name Australian Friend. The eggs my children are given are so thin and so beautifully decorated. reese's peanut butter eggs. I still eat them as an adult :/ I only liked those and cadbury's eggs. Cadbury mini eggs -- they are the best candy EVER! And we don't even celebrate Easter! Susan, Mini Eggs are the best. I'm a little obsessed with them. And I was shocked to discover that the American ones taste different! Bizarre.